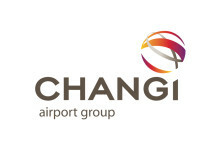 SINGAPORE, 29 January 2016 – Changi Airport Group (CAG) today welcomed the announcement by United Airlines of its plan to launch non-stop passenger services between Singapore (SIN) and San Francisco (SFO) in June this year. The inaugural SFO-SIN flight will take off on 1 June (westbound), with the return flight departing from Changi Airport on 3 June. The daily service will utilise a 252-seat Boeing 787-900 Dreamliner aircraft in a two-class configuration. The total flight times of 16 hours and 20 minutes westbound, and 15 hours and 30 minutes eastbound, save travellers up to four hours each way, as compared to the airline’s existing service which requires a transfer stop in Tokyo (Narita), Japan. With the new United service, Singapore will be linked to the United States, with 54 weekly services connecting to six American cities. In terms of passenger movements, point-to-point traffic between the United States and Southeast Asia has also grown steadily over the past three years. More than 4.9 million passengers travelled between these two regions in the 12 months ending November 2015, an increase of about 29% from the corresponding period three years ago. United’s new flight schedule is specially timed to meet business travel needs. Business travellers will appreciate the early morning arrival into San Francisco to connect to more than 80 destinations throughout North, Central and South America as well as the Caribbean. With the launch of non-stop flights, United Airlines will cease its service between Singapore and Tokyo, effective 2 June 2016. The airline will continue to operate its daily service between Singapore and Chicago, via Hong Kong. Mr Lim Ching Kiat, CAG’s Senior Vice President, Market Development, said, “Singapore and the US enjoy strong trade flows and business ties, with many US MNCs basing their Asian or regional headquarters in Singapore. 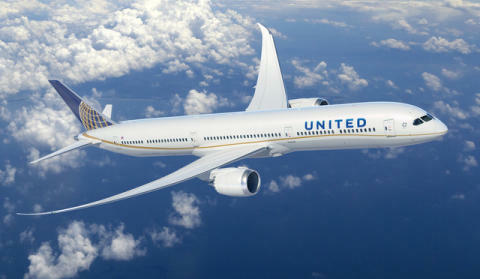 We are delighted with United Airline's new non-stop service to San Francisco. It will bring greater convenience especially to business travellers, who can use United's hub in San Francisco to connect to 26 major US cities, such as Seattle, Las Vegas and Denver. The new service would also potentially bring more US tourists to Singapore. "North America is a key market which CAG has been cultivating. Over the past three years, CAG has been working with the Singapore Tourism Board, airlines and travel agents to organise road shows and other marketing activities in the US and Canada to promote Singapore and Changi Airport to US travellers. Looking ahead, Changi Airport will continue to work with airlines and other partners to bring about more non-stop flights between Singapore and the US. This will strengthen Changi Airport's position as the preferred gateway between Southeast Asia and North America." Launch of service is subject to regulatory approval.